When you wear steel toe shoes, work isn't a fashion show. But you can bring a little style with you every time you punch in now, thanks to Reebok. With its famous comfort and safety compliance built in, these Reebok Women’s Reval RB911 Black Steel Toe EH Work Sho ... (see full details) (see specifications) #RB911. When you wear steel toe shoes, work isn't a fashion show. But you can bring a little style with you every time you punch in now, thanks to Reebok. With its famous comfort and safety compliance built in, these Reebok Women’s Reval RB911 Black Steel Toe EH Work Shoes let you enjoy a little skater style on the job without sacrificing any of the needs your feet have to get through your job shift. With slip-resistant outsoles, industrial strength design, and ASTM-approved safety features, your women's shoes and your style are ready for anything at your workplace. ASTM F2413 approved steel safety toe caps protect your feet from industrial-sized hazards. These slip-resistant shoes are also rated EH, or electrical hazard compliant, for protection and certain electrical environments. The slip-resistant rubber outsoles are designed to give your traction on wet and oily surfaces with Mark II low contaminant SR rating oily/wet .40. Reebok knows comfort. They also know how long hours on your feet can take a toll on your body. To reduce the stress and pain you feel from standing or walking all day, Reebok added plenty of comfort features to support your feet. You need safety toe work shoes that last, and these low-cut black oxfords are made with the industrial strength needed to survive your work environment without adding any extra bulk or weight like bigger, heavier work boots do. The black uppers are strong enough and flexible enough to get you through your day and comfort and last through all of the industrial-sized hazards you may face at work. Traditional lacing systems ensure the perfect fit and support for your feet as you go about your day. For added strength, the outsole sidewalls of the Reebok shoes are stitched to the uppers for added durability in the demanding conditions of your workplace. It will be easy to forget that these are work shoes - not only when you're wearing them, but also when you're looking at them. Inside, your feet are greeted with MemoryTech footbeds that adapt and contour to your individual feet for customized support with every step. This memory foam refreshes itself each time you shift your weight for a fresh step every time. Beneath these footbeds are hidden EVA core midsoles that are designed to absorb shock without adding weight to the Reval EH shoes. These lightweight steel toe shoes reduce the stress on your knees and ankles as you walk or stand. Like a suspension system on a car, shock absorption reduces the bumps in the road to give you a smoother, more comfortable experience. This flexible core also allows your feet to move as naturally as possible as you work. So keep your style and your safety with these ultra comfortable Reebok Women’s Reval RB911 Black Steel Toe EH Work Shoes from Working Person's Store. Order yours today to get the flexible women's footwear that also includes safety features. I encountered a simple mistake on my part, but none-the-less, the courtesy and politeness your customer service rep showed me has renewed my faith in the great American work ethic. It is obvious you have put hard work into your company. I congratulate you on being a credit to the American standard and having such a great person in your employ. You are the epitome of a great American company displaying the Great American Dream. Thank You! 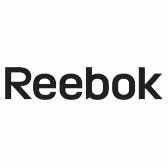 Reebok Shoes: Women's Reval RB911 Black Steel Toe EH Work Shoes is being added to your cart.